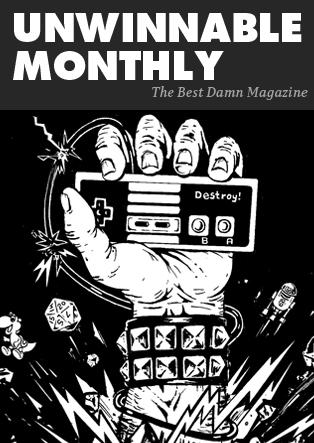 This column is reprinted from Unwinnable Monthly #111. If you like what you see, grab the magazine for less than ten dollars, or subscribe and get all future magazines for half price. Most music videogames rely on pattern recognition and muscle memory, testing the player’s rhythm and reflexes. From faded franchises like Rock Band to the recent virtual reality favorite Beat Saber, their appeal often lies in developing dexterity and mastering a physical challenge, two things required for proficiency on most real musical instruments as well. However, that’s typically where the similarity between music videogames and actual musicianship ends. While they may simulate something that looks and sounds vaguely like playing music, they rarely replicate the actual feeling of playing music, nor confer many of the numerous benefits associated with songwriting and musical practice. There’s no need to revive the irrelevant argument of insufferable guitar nerds that kids should have picked up actual axes instead of plastic Guitar Hero controllers (available now in a thrift store near you). But they had a point: those games really didn’t replicate any part of playing actual music. While Rocksmith taught guitarists actual technique and cover songs, few games have ever attempted to recreate the creative struggle of crafting actual tunes (unless anyone remembers MTV Music Generator). That’s a gap the Melbourne-based game development studio Polyphonic LP aims to address. Founded by Sam Izzo and Andrew Trevillian, the two are focused on creating games that “explore the boundaries between music and digital gameplay.” Their background makes them uniquely suited to this task; Izzo is a jazz pianist, while Trevillian is pursuing a Ph.D. “investigating synaesthetic approaches to game design.” Their debut release, the “minimalist musical puzzler” Resynth, offers a glimpse into how games can more deeply intersect with musical creativity and what’s possible when the two come together. The mechanics underpinning Resynth are simple on the surface. Players position blocks over highlighted squares across grid-based maps, which adds beats and notes to a looping musical figure. When each block is placed correctly, it adds something that sounds in sync with the rhythm and melody. However, make a mistake and the music becomes dissonant, providing an aural indicator that something isn’t right. Completing maps creates finished loops with rich electronic grooves and melodies. Like most puzzle games, it starts off easy enough before steadily ramping up the challenge across its 72 stages. 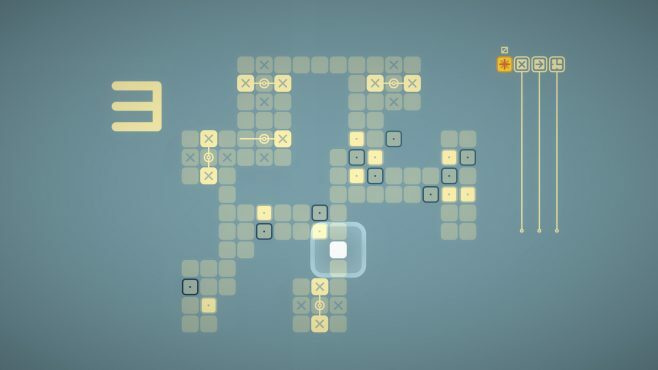 Initially, Resynth may sound somewhat similar to the popular puzzle franchise Lumines, where the goal is to clear quadrants of blocks to the beat of specific time signatures. However, while those games use rhythm as a mechanic and melody as a theme, they play much like conventional reflex-based puzzle games (this isn’t meant to be a negative criticism though, and if you’ve never played the series before, now is a perfect time to buy the excellent Lumines: Remastered which came out last year). By contrast, split-second decision-making isn’t required in Resynth, unless you choose to play through the game’s bonus challenges. 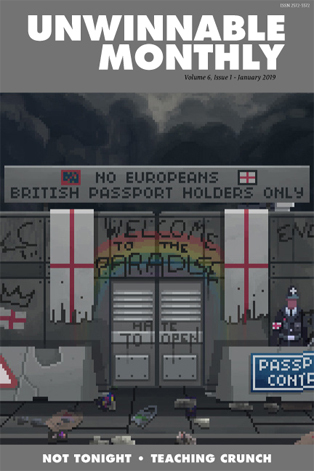 Instead, the game’s main course asks players to take a more contemplative and less twitch-driven approach. You’re free to take as much time as you need to solve each level, and extensive trial and error is necessary for success. When you do make a misstep, you can rewind as many moves as you need, without starting the level over. Much like real-world songwriting, it’s all about rearranging individual components until they click into place. This is where the game stimulates the same sort of mental processes required in music creation. Anyone who pens tunes can tell you it often feels like banging your head against a wall until you find an arrangement that works. There are no clear criteria for completion either, but you know the song is done when everything just sounds and feels right together. The sense of satisfaction at the end makes it worthwhile, even if the occasional frustration makes you think you’re losing your mind. Resynth invokes a similar sensation while creating positive feedback loops to keep you pushing through its puzzles. Moving blocks with a keyboard or controller isn’t exactly like tickling the ivories, and there’s nothing complex about its core gameplay, either. However, it exercises abstract problem-solving skills much the same way writing music does, creating an almost uncomfortable sense of tension that can only be reconciled by resolving the dissonance between what you see and hear. Doing so successfully is deeply satisfying and builds a sense of achievement that keeps you moving forward. In a very real sense, this is similar to the dynamic that encourages musicians to keep developing their skills. Putting in the work yields tangible benefits; according to Psychology Today, writing and playing music helps improve mental functioning as it “engages the pleasure and reward systems in the brain.” Those benefits can pay off elsewhere in life as well by improving hand-eye coordination, brain development and general problem-solving abilities (and perhaps not coincidentally, many of those same benefits are associated with videogames and puzzle-solving too). What ultimately makes Resynth so compelling is the unique way it connects the interlocking pieces between musical play and interactive entertainment. Underneath its unassuming interface lies an understanding that the parallels between playing music and playing games are deeper than their aesthetic elements; if songwriting is complex puzzle building, then songs can be constructed and deconstructed by determining their proper shape. Where most music games focus solely on developing muscle memory, this instead stimulates the problem-solving skills required to write music in the first place. The game further encourages active creativity with its Create mode, which allows players to build their own maps by placing notes, beats and goal steps. It’s a relatively rudimentary setup, but one that empowers players to generate puzzles potentially on par with those of the developers (with some practice). In the future, players will presumably be able to share their creations via Steam Workshop. It’s an enjoyable diversion on its own too, but what’s most exciting about Polyphonic LP’s debut is what it might portend for the studio’s future. What could be accomplished with a bigger budget, more development resources, and a broader vision? It’s too soon to speculate, but here’s hoping for something with more lasting value than playing plastic instruments.